Dr. Azadi, whose last name is Persian for Freedom, arrived in the United States at age 11 as a political and religious refugee from his native home country of Iran. He considers Austin his home. He is proud to have attended UT Austin, and after graduation attended the University Of Houston College Of Optometry. 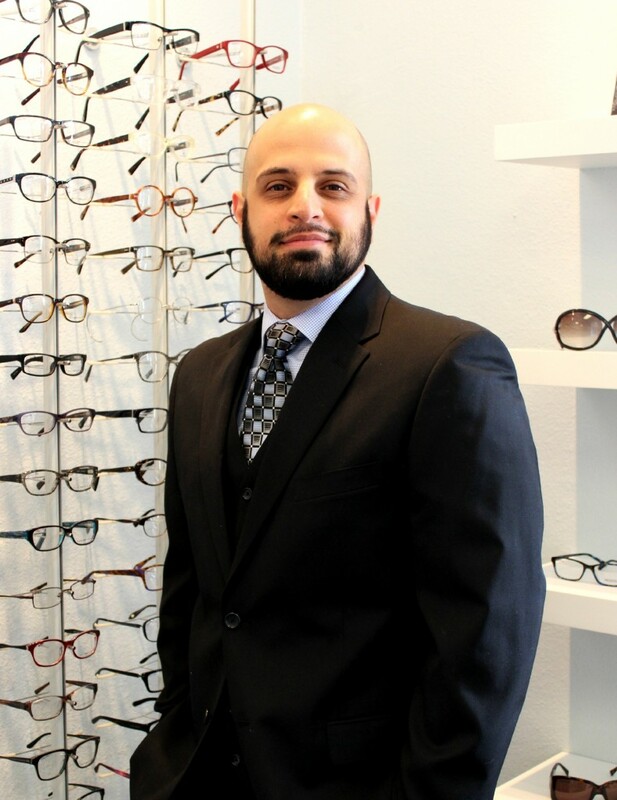 He returned home to Austin to practice Optometry for 8 years before opening Freedom Eye Care. Dr. Azadi lives on Austin’s East Side with his wife, Johanna, and his 5 year old son Elijah, and his 3 year old daughter, Sonia. In his spare time, he enjoys spending time with his family, playing basketball, soccer, and traveling. Using the latest technological advances for early detection of disease for preventative care is an integral part of how Dr. Azadi practices Optometry. He frequents continuing education courses to stay on top of the latest research, connect with other top professionals in his field, and learn all the latest techniques to help serve his patients better. Dr. Azadi is national board certified in the treatment and management of ocular disease and state board certified optometric glaucoma specialist. Doctor of Optometry, University of Houston College of Optometry, Houston, Texas, 2004. Bachelor of Arts, Microbiology, University of Texas, Austin, Texas, 2000. Graduate, Round Rock High School, Round Rock, Texas, 1996.